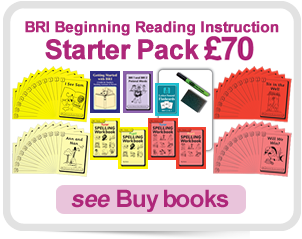 BRI – consisting of exceptional value, easy-to-use books that can teach virtually any child to read – are highly recommended by leading Synthetic Phonics trainers for children who benefit from additional support. The earlier this support is established, the easier it is for children to avoid the stress caused by falling behind. Only five sounds are introduced in the first three books. These gradually increase at child-pace, with frequent repetitions. The 78 BRI storybooks provide abundant exposure to a controlled selection of sound-letter correspondences, enabling decoding to become automatic, and fluent, confident readers to flourish. The combination of systematic introduction of new sound-letter(s), rigorous decoding practice, and an emphasis on the enjoyment of reading and encouragement of expression, offers a complete reading experience for young children. BRI not only shows children ‘how reading works’, it also introduce them to the excitement and rewards of reading ‘real books’. Vital reading skills are treated with rigour within the stories. The books provide an abundance of practice. BRI juxtaposes words that look alike, encouraging the reader to read through the word: ideal preparation for the Year 1 Phonics Check. Meticulously constructed incremental approach to the complexities of the Alphabetic Code. In learning to decode and to read with BRI, children involve themselves with all aspects of storytelling. They learn to read fluently and expressively right from the start as they engage with narrative and feelings – via the anthropomorphic animals, their personalities, friendships, kindness, vanities, jealousies, mini power struggles and little shifts in behaviour. BRI introduces grammar, punctuation, and interrogatory words from the very first books, encouraging children to further engage with narrative. An instructional focus on decoding is at all times combined with the wider skills needed to become a rounded reader. BRI-ARI has been widely trialled in over 2,000 schools. The team carrying out research and development into early reading instruction included linguists and educational psychologists and systematic feedback was provided by classroom teachers. To find out more about the entire range of BRI-ARI books visit ‘Buy Books’. Over a hundred storybooks are complimented by a straightforward Getting Started guide and spelling workbooks. The ‘Free Resources’ page offers extras including a notched card, assessment graphs, certificates and colouring sheets. 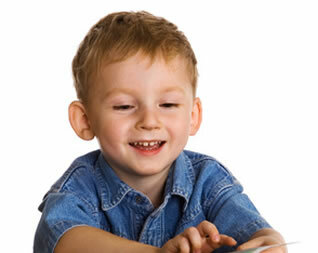 A comprehensive decodable reading system widely used in conjunction with mainstream Synthetic Phonics programmes.